Next week Ana Balica will give her first keynote, but she isn't nervous. At least, not yet. "I definitely will be before going on stage," she says. "That’s a natural response; you can’t help it." Balica is a Django Developer at Potato, a web agency in London. Although she is only two years out of university, she's making a name for herself as a programmer, community leader, and conference speaker. This month at PyCon CZ in Brno, Czech Republic, she presents "Humanizing Among Coders," a talk that describes five aspects of effective communication. "I hope it will get people talking about how they communicate, and believing they can make a difference by being empathetic." Python and Ana Balica first met while she was studying software engineering at the Technical University of Moldova. Although the school focuses on C and C++, she tried out Python as a sort of snack on the side, and got hooked. After she graduated she spent her "gap year" enjoying two adventures at once. The first adventure was traveling Asia and Europe. Since she felt free of any responsibility, she went on a second adventure concurrently, expanding her skills with the "Learn IT Girl" mentorship program online. Her project for Learn IT Girl was an alphabet game for children that ran on Android phones. She built the first prototype with Kivy so she could write more Python. 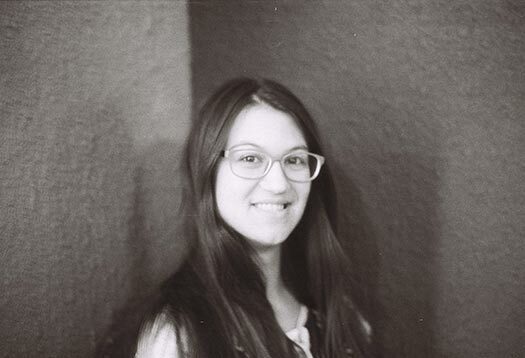 Balica was a Google Summer of Code participant twice as a student and once as a mentor. Her project for GSoC was to create a new online platform for Systers. Systers is a community of over 3,000 women in tech, the largest such group in the world. Anita Borg founded Systers in 1987 as an email list for women in “systems”, but it has grown and diversified into a dozen subgroups such as Latinas in Computing, Black Women in Computing, and many others. In 2014 Balica began building a Systers Portal with Python and Django to give all these members and subgroups a unified platform to share news. During her gap year, Balica continued to hack on the portal. "While I was traveling I had plenty of free time, so I was constantly doing something, improving things, adding new features." She returned to GSoC the following summer to mentor students who joined the project. Systers leader Rose Robinson was the portal's guiding visionary; she says Balica's coding ability is exceptional, and her leadership was crucial to the project's success. "When teams are in four different time zones, challenges are heightened, but Ana was never phased." Balica's first conference talk was at DjangoCon Europe, in Wales in June 2015. At first, she didn't intend to speak at the conference. She was filling out the registration form when she noticed the offer of free mentorship for new speakers. She could get help inventing a topic or structuring her talk. The DjangoCon organizers wrote on the site, "We don’t want to be proud because we had a lot of superstar speakers at our conference. We want to be proud because we were the conference where you began your superstar speaking career." Ola Sitarska was Balica's mentor for her proposal. Sitarska says, "I was impressed with the level of detail she went into, and only advised about what the organizers might be looking for, as she didn't need much help!" Balica says about Sitarska, "I wrote her a couple of paragraphs and her response was three times longer, with a lot of encouragement a lot of little tips." Balica's talk on Django mixins was accepted and she had a blast presenting it to the audience. Ever since that talk, Balica's speaking career has been accelerating. She attributes it to a snowball effect; she'd never intended to give so many talks. PSF director Anna Ossowski saw her speak at DjangoCon the following year, about testing with mocks. "It was excellent to see her on stage. She had a Shakespeare theme and it was more like an acting performance than giving a talk." At PyCon CZ next week, Balica will give her first keynote, "Humanizing Among Coders," about making teams welcoming and productive for everyone. She'll offer five methods to improve our interactions, each illustrated with a story. Her talk begins with beginners. How do we make them comfortable and mentor them? "Being a good mentor takes energy and it’s very, very complicated," she says, "and sometimes open source is not even the safest playground for beginners." When we join a company or a large project, inevitably we confront a challenge that school did not prepare us for: legacy code. Balica says, "I want to talk about how people throw around criticism like, 'Oh, Mark wrote that. That was horrible.'" Blaming past coders is easy, and it excuses us from making the effort to understand why they made the choices they did. If we resist that temptation, we gain the power to understand the past and build a better future. According to Balica, direct communication is the best way to build a culture of trust. "Being passive-aggressive is terrible," she says. In her keynote she'll illustrate direct communication with a parable, about a veteran coder named Mărioara reviewing a patch from a new contributor, Özlem. (Balica favors Eastern European names for the people in her parables.) When the veteran Mărioara sees flaws in the novice Özlem's patch, she fixes them herself before merging it, rather than telling Özlem what must be improved. Özlem is discouraged. She worries she isn't contributing to the project. It would be better, in Balica's view, if Mărioara asked Özlem why she made the choices she did, and told her frankly how she needs to amend her code. Özlem is still in charge of her patch, in this scenario, and she gains insights about her craft that will ultimately make her a master engineer. The final insight Ana Balica will share is the power of the word "we." Whether discussing a bug, an outage, a great new feature, or a punctual release, she advises us to attribute it to the team. "Simply use the 'we' pronoun. Slight difference, but it works." By her friends' and colleagues' accounts, Balica herself is a role model for humanizing coding. Ola Sitarska works with her now at Potato in London. She says, "Ana is so friendly the room starts to shine whenever she enters it. She leaves people lovely handwritten notes on their desks." Anna Ossowski adds, "When I see her at a conference, she always comes right up to give me a hug and ask how I’m doing." It might sound like Balica has empathetic coding all figured out, but her keynote won't offer pat answers. "I don't want just to give beautiful quotes on slides," she says. "I'm making the audience think deeper and come to their own conclusions." As many of you will know, the PSF has been a partner in the British Broadcasting Corporation's (BBC) micro:bit project. A million devices capable of running MicroPython have been distributed to every 11 and 12 year old in the UK. Those of you lucky enough to attend EuroPython and PyCon UK will have also been given a device to take home. 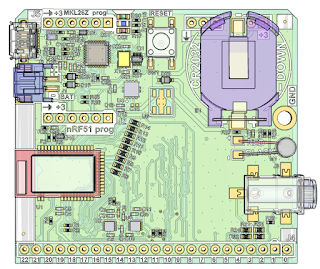 The PSF wouldn't be involved if the project were not open source, and it has always been the intention that all the software and hardware designs should be released under open licenses so that anyone can recreate the project themselves. A few days ago they revealed their website and the final piece of the jigsaw was revealed: the hardware schematics. 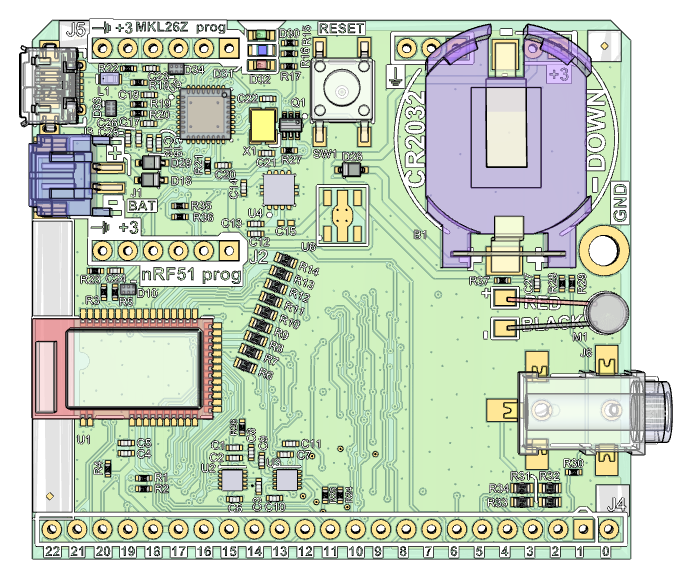 If you're interested in learning more, check out the hardware page, learn about MicroPython on the micro:bit, join the Slack channel and take a look around the wider project. It's a very cool device and puts Python firmly in the world of embedded hardware and Internet of Things. It's also a great complementary device to the Raspberry Pi: the skills children learn on the micro:bit transfer to the Raspberry Pi and vice versa. That there is progression from complete beginner to professional software developer is one of Python's great strengths. Python is for everyone, no matter their age or ability. Having open embedded hardware that runs MicroPython makes Python all the more available to enterprising people all over the world. Two weekends ago I was lucky enough to get the chance to attend PyCon APAC 2016. This year the event was held in Seoul, South Korea at the COEX Convention Center within the Gangnam-gu district. 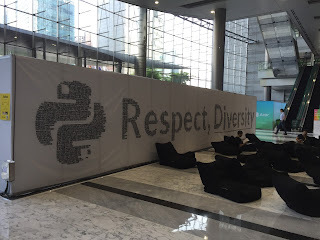 PyCon APAC 2016 brought 1,500 Pythonistas together and it was organized by the PyCon Korea team. This was a very special trip for me as it was my first trip to Asia. 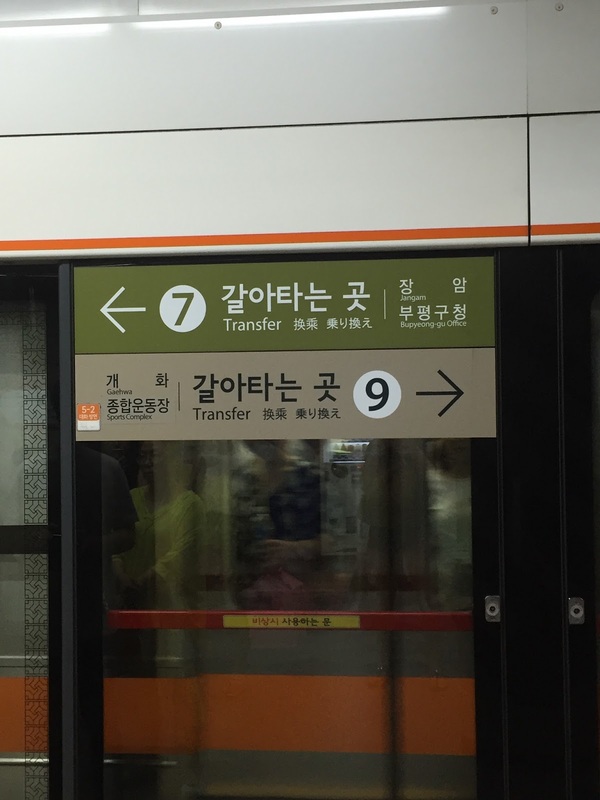 The first day while we were figuring out the public transportation system, I did experience some brief challenges. However, the following days at the conference settled my disorientation. Through this process, I realized that the same Python community qualities existed in South Korea as they do everywhere else in the world. We all may not have been able to communicate verbally, but the openness of the community still prevailed. The locals were welcoming, inclusive, and took the time to teach us Korean customs and culture. 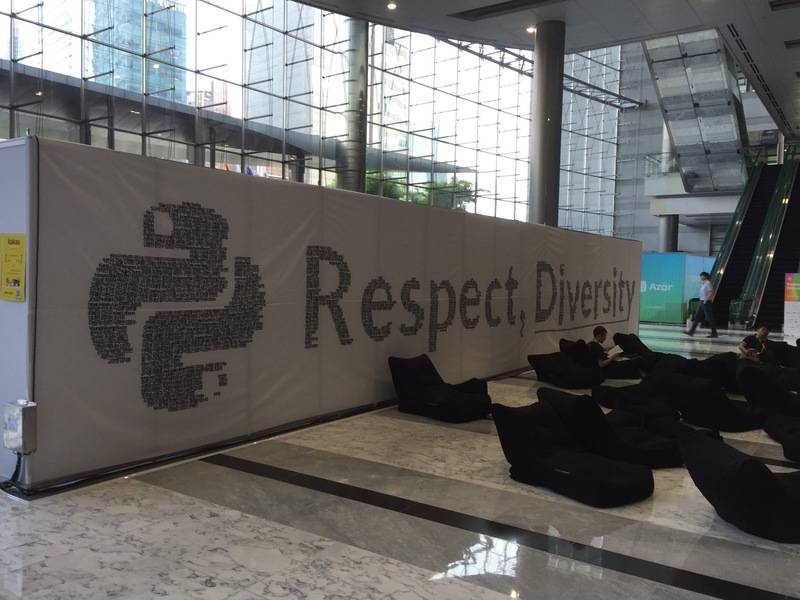 More than that, PyCon APAC 2016 stressed diversity of nationality and gender. One great way that the conference made everyone feel like they were part of the community was this sign that comprised all the names of the people who had pre-registered for the conference. This meaningful sign had such a positive impact on the attendees as it acted as a constant reminder. I enjoyed watching attendees find their names in the sign, and all of the tweets that followed. Through experiencing PyCon APAC, I also learned that the organizers spend a great deal of effort making their community strong and open. At the conference I was invited to attend the PyCon APAC organizers' meetings. During this meeting, the organizers addressed important questions such as "Do we continue PyCon APAC even though many APAC countries organize their own PyCon?" and "How do we continue to increase diversity?" It was decided during the meeting that the purpose of PyCon APAC goes beyond regional conferences and should continue. It helps build diversity and brings forth positive influences from other parts of the world. 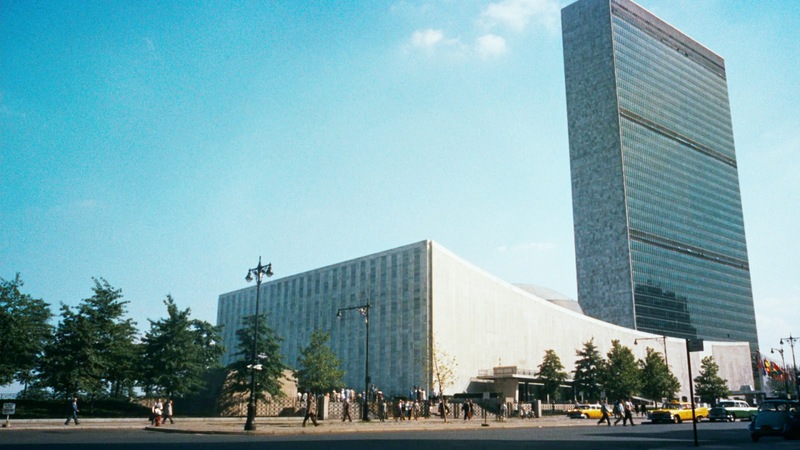 The organizers decided that each location should attempt to have a small portion of their budget set aside to send some of their community members to other “Indo-Asia-Pacific” regional conferences, especially the yearly APAC conference itself. Hearing how the team of organizers valued such questions and discussions showed me that they valued our community and that is one reason why their conferences are so successful. Beyond community importance, the conference brought us together to discuss core Python development. Some of the questions I heard at the PSF booth were, "When will Python 2.7.x stop being supported?" and "What will happen to those of us that use 2.7.x in a corporate setting?" Their questions were based on PEP 373 and PEP 494, and their worries were relevant ones. Many think that Python 3.5.x still needs a lot more work before developers no longer need Python 2. Those questions are hard, and no one has an absolute answer, no matter how strong their beliefs. But our discussions led to how we all need to work on making Python 3.x better, since it is the future of the language. We discussed the need to port packages from Python 2 to 3, and the need for corporate support. Regardless of the PyCon 2 vs Python 3 debate, the attendees were excited to get coding during the PyCon APAC Sprints. 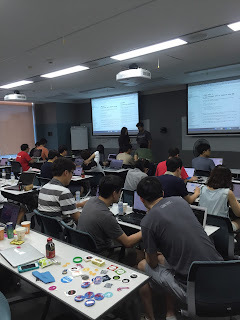 This was the first time the PyCon Korea team held sprints, and they did not know how many sprinters to expect. They were overwhelmed when that day came and they had to book additional space to accommodate everyone. As an organizer, I can tell you that this is a good problem to have, especially when the organizers react properly and swiftly. During the Sprints/Tutorial day, Pythonistas attended a sprint about Pandas & PyData led by one of the creators of the pandas project, Wes McKinney. The picture above shows hands-on learning at the tutorial for DjangoCupcake. Others attended sessions about the Django Rest Framework, Write the Docs, Tox, Travis, and aiohttp led by Andrew Svetlov, a core Python developer. 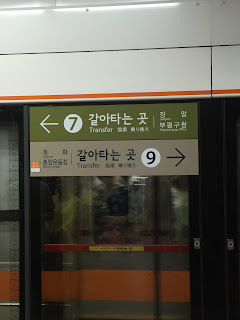 Establishing connections with Pythonistas from the APAC region and beyond made the long flights to and from Seoul worth every minute. I hope to attend future PyCon APACs and reconnect with all the wonderful people I met during the conference. Thank you, organizers and attendees, for a memorable conference! “In the beginning, there was one Python group in Charleroi, the P3B (Python Blanc Bleu Belge)”, Stéphane Wirtel recalls. This first Python group was led by Denis Frère and Olivier Laurent. Together with Aragne, the first company using Python in Belgium, and Marc-Andre Lemburg the P3B helped organize the inaugural EuroPython in 2002. Over the years, however, the P3B disbanded. “Other groups have organized some events for the Belgian community”, Wirtel adds. These groups, however, have faced some of the organizing challenges as the P3B. As a Python user of 15 years, Wirtel contemplated what would be the best way to sustainably build the Belgian Python community. He originally wanted to organize the first PyCon in Belgium but eventually decided to invest his energies elsewhere. Ludovic Gasc, Fabien Benetou and Wirtel began by hosting Python events in Brussels and Charleroi. The Python Software Foundation has awarded Wirtel in the second quarter of 2016 with a Community Service Award in recognition for his work organizing a Python User Group in Belgium, for his continued work creating marketing material for the PSF, for his continued outreach efforts with spreading the PSF's mission. “FOSDEM is one of the most important events in the European development community with over 5,000 attendees participating in a weekend event” Wirtel explains. The importance of FOSDEM led Wirtel and Gasc to create the first PythonFOSDEM. Since 2013 Wirtel has organized the PythonFOSDEM devroom, expanding the room from 80 participants in 2013 to well over 400 participants in 2016. Benetou, who volunteered in the FOSDEM 2016 Python devroom, remembers the excitement in the room explaining that the room was filled within five minutes of opening. With the growth of the PythonFOSDEM devroom and the return of AFPyro-BE, led by Ludovic Gasc, Wirtel has been focusing efforts on building the belgium@python.org mailing list and registering a Belgian Python website. “Stéphane continues to challenge us to organize bigger and bigger events”, Gasc comments on Wirtel. His continued work promoting Python in Belgium is helping provide the building blocks for a new Python community in Belgium. As a member of the PSF marketing work group, Wirtel is an ongoing voice in the discussion and creation of PSF marketing materials. Wirtel helped with flyer development and distribution for PythonFOSDEM 2015, PyCon North America 2015 and PyCon Ireland 2015. Some of Wirtel’s other projects includes working as a former core developer of Odoo from 2008 to 2014, an open source enterprise resource planner which is built with PostgreSQL and CPython. He has contributed to Gunicorn and is working to contribute more to CPython. Wirtel is also a member of the EuroPython Society and the Association Francophone de Python (AFPy) as well as a PSF Fellow. Wirtel has supported EuroPython the last two years as a volunteer and as a working group member too. Wirtel’s passion for bringing new Pythonistas into the fold, be it through the creation and continued organizing of the PythonFOSDEM Devroom or the proliferation of CPython knowledge and tools particularly suited for the beginner, is profound. As he noted in his EuroPython 2016 talk, he was completely new to CPython at the 2014 PyCon North America at Montreal! “Simply put Wirtel is the type of person who gets things done” Benetou says, adding that “these are the type of people that inspire me, that I like”. The Python Software Foundation is seeking a blogger! The Python Software Foundation (PSF) is seeking a blogger to contribute to the PSF blog located at http://pyfound.blogspot.com/. As a PSF blogger you will work with the PSF Communication Officers to brainstorm blog content, communicate activities, and provide updates on content progression. Example of content includes PSF community service awardee profiles, details about global Python events and PSF grants, or recent goings-on within the PSF itself. One goal of the 2016 - 2017 PSF Board of Directors is to increase transparency around PSF activities by curating more frequent blog content. Bloggers for the Python Software Foundation receive a fixed fee per post they produce. To apply please email two to three examples of recent articles (e.g. personal blog, contribution to professional publication) as well as a brief account of your writing experience to psf-blog@python.org. If you have questions, direct them to psf-blog@python.org as well. UPDATE: The Python Software Foundation will be accepting applications until 11:59:59pm Pacific Standard Time Thursday, August 25th, 2016. Ned Batchelder didn't mean to get himself nominated for an award. He'd simply encouraged his Twitter followers to "nominate someone who made a difference for a PSF Community Service Award." A friend who saw his tweet thought, "You know, the person who best exemplifies the community spirit and community service of Python is Ned." 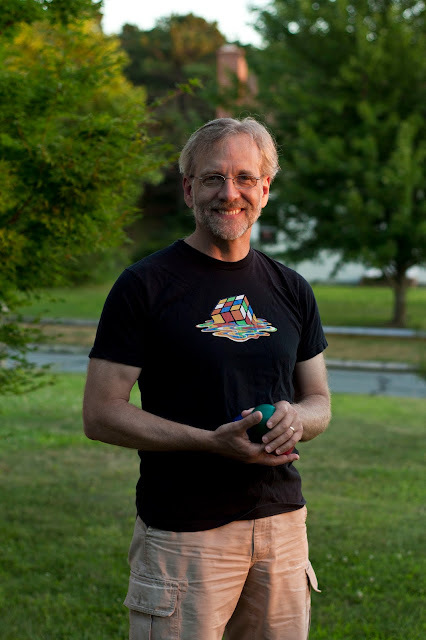 In the second quarter of 2016, the Python Software Foundation recognized Batchelder with a Community Service Award for his tireless work helping run the Boston Python user group, being a regular speaker at conferences, maintaining coverage.py, and being a friendly face for the community on IRC and elsewhere. Batchelder maintains coverage.py, a tool for measuring Python programs' code coverage. It monitors a program under test, to report which lines of source are executed and which are not. Coverage.py fills a vital niche in the Python ecosystem, ensuring our code is thoroughly tested, and Batchelder has developed it for well over a decade. 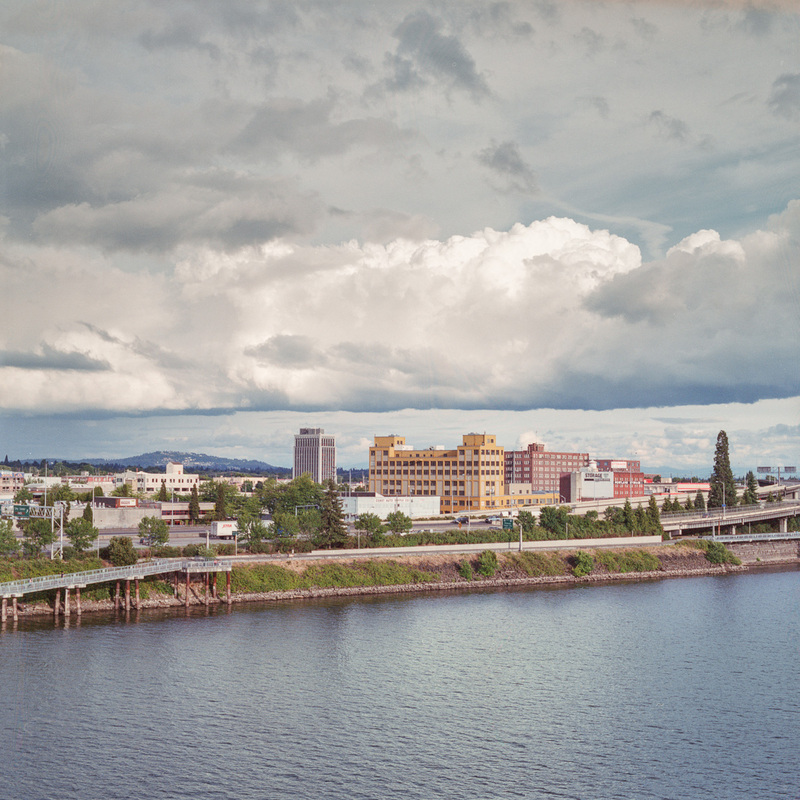 As an offshoot of his coverage.py work, Batchelder began experimenting with a project called ByteRun in 2013. His most prominent contributor is Allison Kaptur, who wrote a chapter on the project for The Architecture of Open Source Applications. "ByteRun is a Python interpreter written in Python," she says. "It’s not like a real one. It does now run most Python code that you throw at it, but Ned's original motivation was to explore instruction-level coverage for coverage.py. There are lots of cases where line-level coverage does not give the whole picture; he wanted to see if he could do better. That was his motivation, but I joined the project because I have an inexplicable love of byte code that I cannot justify." Kaptur loved working on a codebase with Batchelder—despite his long experience, he is patient with contributors and enthusiastic about their work. When she reported a significant bug in his implementation of stack frames and scopes in ByteRun, he celebrated the discovery. "Wow, this is amazing! I'm humbled to learn that I had the data stack wrong." 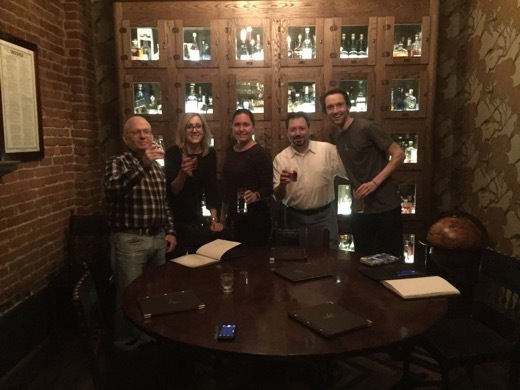 When Batchelder first attended the Boston Python User Group a decade ago it was already going strong. The group draws from Boston's big tech community, and it meets in Cambridge's Kendall Square, the epicenter of the tech industry there. Under Batchelder's leadership the group has grown to over 6000 members. It was for this achievement that his friend and colleague David Baumgold, when he read Batchelder's tweet, nominated him for a Community Service Award. Baumgold says, "He is very, very good at getting people to open up about what they’re working on. He calls it pulling lightning talks out of people. He says, 'If you don’t think you have a lightning talk in you, come and talk to me. In five minutes I'll find your lightning talk.'" Jessica McKellar, too, helped cultivate Boston Python for several years. Batchelder admits, "I’m not great at bringing in other organizers and giving them lots of control. But she was a big help in creating new events for the group." The workshops for women that McKellar started unlocked a pent-up demand in the area. McKellar created a follow-up event, the monthly Project Night, where workshop participants could advance further. Batchelder says, "On project nights people come and do what they want to do. When you run one of those every month, you get a consistent rhythm going and people continue to show up." Another reason for the group's size is Batchelder's stick–to–itiveness. Organizing events for seven years and more isn't easy. There are nights he asks himself, "Really? I’m going to Boston Python again? That’s what I’m doing tonight?" But it's worth it: helping people use computers, for Batchelder, is as fun as using computers himself. Even better is when he connects a newcomer to a project or person that provides precisely what they need. "When I can do that, I think—wow, I really nailed it. That was a good night." When PyCon's call for proposals opens each year, Batchelder considers what question he's heard most often that year, and tries to come up with a "very good answer" that is the core of a PyCon talk. But how does he compose the best answer he can? "There’s all these topics that lead to each other in a dense graph, but I'm going to have to linearize it and speak one sentence after the other for 25 minutes." To trim that tree of knowledge to its trunk, Batchelder seeks the principles that lead from the question to the solution. 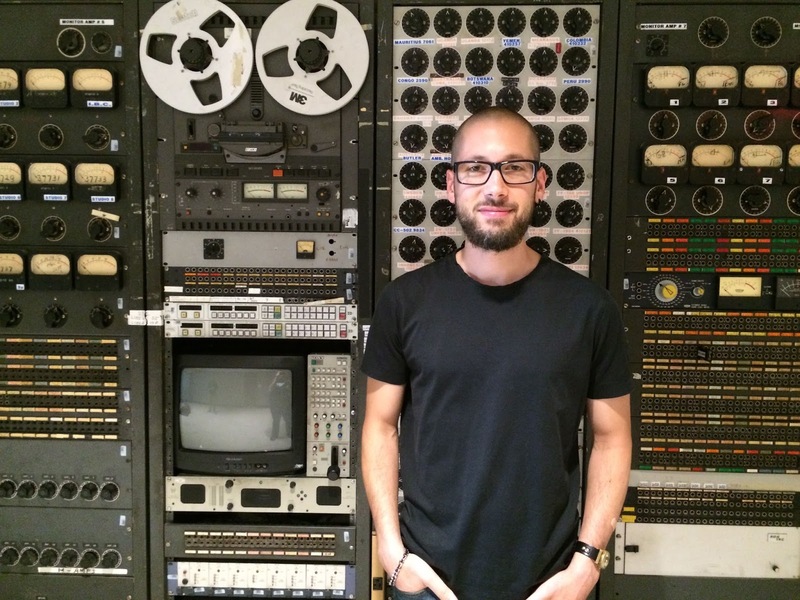 "I try to lay bare the mechanisms that link them together." His Unicode Sandwich talk in 2012, for example, distilled a painfully complex question into a simple answer. Programmers can handle Unicode correctly in their apps with his three concise tips. And his talk on looping and iteration in Python covers topics so fundamental that most Python programmers couldn't explain them much better than a mole could explain digging. David Baumgold says, "Ned is very good at avoiding the curse of knowledge. He's simultaneously very knowledgeable and also very accessible to beginners." Ewa Jodlowska, the PSF Director of Operations, says that every Python programmer she meets has a hidden talent. She was sitting at a table with Batchelder at PyCon Montréal last year when he picked up a few pieces of fruit and juggled them. Batchelder has been juggling for so long he cannot remember how he first learned; perhaps from his father. Naturally, he teaches it too. At his workplace, Open edX, "There’s a bunch of people who learned how to juggle because they saw all the props on my desk. Whenever we have company outings there always kids that want to learn." At PyCon this year he held an Open Space for juggling. Jodlowska recalls it was so popular it spilled out of the room. Batchelder stood in the hallway juggling his pins, while the crowd surrounding him cheered him on. 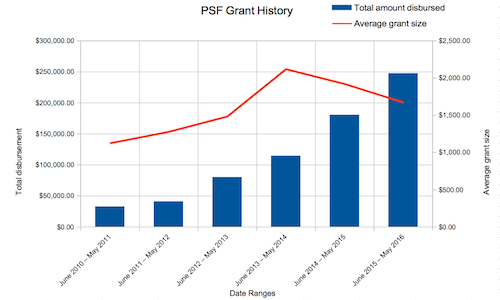 In honor of the 2016-2017 board of director's first board meeting today, I wanted to share the PSF's growing success with the public! For as long as I have been with the PSF, our goal has been to encourage people all around the world to learn and use Python. We have done this by funding conferences, workshops, and dev work. Due to the success of our community, each year more and more people have become aware of the PSF and our mission. The success is hard to measure. More in-depth research can be done on how the PSF's mission has bettered the world, but for now, let us start with a simple, tangible, measurement: money. Besides our treasurer, Kurt Kaiser, most of us have not paid much attention to these metrics. Even though members of the PSF have received yearly reports from Kurt, sometimes that snapshot does not have the progression across several years. I have been helping with grant management since 2012 and recently it felt like the board mailing list was receiving much more traffic than when I first joined the board as Secretary. In April I decided to scrape https://www.python.org/psf/records/board/resolutions/ to the best of my ability. Luckily, Kurt was able to help me extract that data from the PSF’s accounting system. Below is a graph depicting the data from those reports. The reporting only goes back to 2010 as prior to that our accounting was done elsewhere and the transitioned info is not as detailed as the accounting we keep now. I did a comparison of grants disbursed from the 2014-2015 term to the 2015-2016 term and noticed that our disbursements increased by approximately $65,000. When I compared the 2013-2014 term to the 2014-2015, I saw that the grant disbursement also increased by approximately $65,000! As I mentioned above, this was surprising to me because I was under the impression that we only recently started receiving many more requests. Therefore, I also plotted the average grant size; which shows a spike in 2013-2014 and has since returned back to its former level. In conclusion: we gave out more money between 2013-2014 and 2014-2015, but that money primarily went to larger grants. The total amount we disburse continues to increase, but that money is spread across more grants, explaining the visibly increased volume of requests. Personally, I feel this is a huge milestone for the PSF and our community. If we continue in this pattern, the 2016-2017 term might give out over $300,000 USD to fund python education all around the world! I am astonished by this comparison, especially since when I started the disbursements totaled a little over $40,000. If it is an indication, we will have to continue expanding our staff as well as look into software that can help us better manage these tasks! For now though, let's keep up the great work! PyCon 2016: A look back, my take away, and thank you! 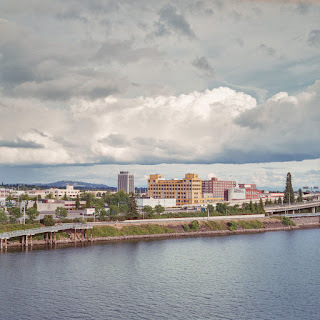 I am writing this during my flight home to Chicago as I reminisce about PyCon, which officially ended yesterday in Portland, Oregon. This was yet another successful conference! We had over 3200 pythonistas check in! The 2016 tutorials and talks sold out in March, which is much sooner than previous conferences. Both committees did a great job reviewing and providing guidance to those that needed it. Personally I only found time to watch Lars' talk, but thanks to our efficient AV crew, I will watch the rest in the comfort of my home over the next few weeks. Hearing the positive feedback from our sponsors, even when logistical issues popped up, tells me the companies that helped make PyCon happen, are just as dedicated to our community as we are. I appreciate their support and understanding. PyCon 2016 was my ninth PyCon. I have enjoyed organizing each one of those nine conferences. Over the last nine years I have seen the Python community grow and become a respected community. PyCon is, for many, the central time of the year and I know it is for me and the PSF. Through our learning experiences at PyCon, we are able to help the Python community all around the world. We are able to offer others insight on conference childcare, our financial aid system, and volunteer involvement amongst other things. We also learn from others within our community and welcome guidance for how processes could be more effective and less overwhelming. On a larger scale, PyCon's revenue helps us (the PSF) fund hundreds of other PyCons and teaching workshops around the world per year. But those are not the only ways that PyCon impacts our community. I have noticed that it is easier for us to improve and grow as a community when we meet in person from time to time. Over the years I have learned through my own experiences that emailing about community relations is not always easy nor productive. When I come to PyCon and see the many interactions, I understand the reasons why conferences are so vital to any community. When we are face to face, we are able to put our differences and opinions aside. It is easier for us to put ourselves into someone else's shoes. When we find common ground, we become a stronger community. Watching Twitter the last few days has been my evidence for this happening at PyCon. I have seen so many moving "good-byes" and appreciations for our community. I have seen attendees publicly thanking our community for its openness and acceptance. Witnessing this energizes me and inspires me to further support the community through my PSF and PyCon work. Thank you PyCon 2016 for motivating me and making me a stronger individual in so many ways. Let us keep this inspirational motivation going all year round! Betsy Waliszewski (psf event coordinator): Welcome to the PSF & PyCon community! Thank you for all of the time and energy you put into the pre-planning and onsite work. Having you at PyCon 2016 was a tremendous help that I have never had before. I look forward to developing your role as event coordinator! Kurt Kaiser (psf treasurer): Thank you for all of the work you do for PyCon, especially for financial aid. The work you do impacts hundreds of PyCon goers every year. Brandon Rhodes (conference chair): Thank you for being such a wonderful person. It was a pleasure working with you and seeing the way you work. Working with you has taught me much more than you know. Ruben Orduz, Carol Willing, Allen Downey (tutorial chairs): Thank you for all of your work reviewing tutorial proposals and helping those that needed guidance. Ned Jackson Lovely, Karen Rustad Tölva (program chairs), and the program committee: Thank you for all of your work reviewing hundreds of talks. Thank you for coming together as a community when needed. I admire your strength and ability to work through certain situations. Ashwini Oruganti and LVH (financial aid chairs): Thank you for continuing to improve our financial aid process. I know this task needed a lot of time, but we will continue to work to make it better for the volunteers as well as the recipients. Barry Warsaw and Larry Hastings (language summit chairs): Thank you for working to put together a great language summit. I look forward to seeing the evolvement of the summit and the python language. Chalmer Lowe, Jessica Ingrassellino, Ria Baldevia (education summit chairs): Thank you for continuing to grow the education summit. This year, the event was a huge success and I look forward to what it will bring to PyCon 2017! Felix Crux (mobile guide chair): Thank you for helping with the mobile guide. Your attention to detail helped us put together an awesome guide that many attendees took advantage of. Anna Ossowski, Kinga Kięczkowska and Hobson Lane (open space chairs): Thank you for putting so much effort into improving Open Spaces. I look forward to seeing what you will bring to 2017! David Wolever and Julia Duimovich (session staff chairs): The work you two put forth onsite is immeasurable. Without you both, the talks would not happen like clock work! The session chairs give our speakers the attention they deserve. Thank you all who volunteered to be a session chair and/or runner! Brian Costlow (CART coordinator): Thank you for taking on this task this year. Your thorough feedback will definitely help us make the process better going forward! Hannes Hapke and Gustavo Pinto (poster session chairs): I enjoyed seeing the posters get so much attention this year. Thank you for making that event run so smoothly! Lynn Root and Thursday Bram (lightning talk chairs): Thank you for putting together the lightning talks daily and moderating the 5 minute talks. Don Sheu and Yannick Gingras (startup row chairs): Thank you for working so hard to give startups a chance to market their work and to meet awesome pythonistas! Mathieu Leduc-Hamel and Nick Lang (5k coordinators): Mathieu - thank you for helping us pre-plan the 5k. Also, your dedication to wake up that early and get everyone organized is appreciated! Nick - thank you for helping us onsite and giving us pointers on how we can improve the process! Doug Napoleone, Jackie Kazil and Lynn Root (pyladies auction chairs): Thank you for making the PyLadies Auction such a fun event and raising so much money for a great cause. Luke and Meagan Sneeringer (young coder setup and other volunteer tasks): Thank you for all of your support onsite. Having you both there makes us a stronger team. I really appreciate you both being up so early every day to help registration! Kushal Das and Naomi Ceder (sprint chairs): Thank you for the help you both provided to get the sprinters informed and organized. Your work at the Sprints impacts so many in our community! Barbara Shaurette and Andrew Dupont (young coder teachers): Thank you for staying strong and teaching the Young Coders classes this year. Your dedication is appreciated by me and the children! Noah Kantrowitz (general volunteer): Thank you for just being there to help us with random tasks that needed attention. Having someone there with institutional knowledge that can jump in to help with anything is very useful. Jon Henner (accessibility chair): It was unfortunate that you could not join us onsite, but we look forward to seeing you at 2017! Thank you for working with us to make PyCon more accessible. I am grateful for your guidance and I look forward to seeing the impact you will have on PyCon 2017. Jessica McKellar (diversity chair): Thank you for helping PyCon increase its diversity year after year! I look forward to seeing what 2017 will bring! Paul Hildebrandt (swag coordinator): Not only do you bring awesome gifts for our speakers year after year, but you also dedicate so much time to get swag organized and distributed. We are all thankful for you!